We are a talented Upholstery team specialising in Contemporary and Traditional Upholstery, Re-upholstery, Bespoke Furniture, Custom Made Blinds, Headboards and Made to Measure Curtains. Based in Battersea, South West London, SW11 4ND. 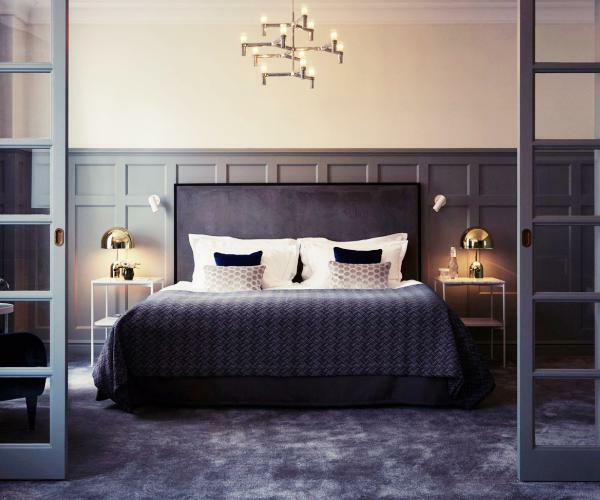 Our experienced team provides Contemporary and Traditional Upholstery, Reupholstery, Bespoke Bedroom Furniture, Bespoke Blind, Upholstered Headboard and Made to Measure Curtain Services in Battersea, South West London, SW11 4ND. Does constant fluffing and rearranging of your current sofa’s cushion fillings drive you insane? Not to fear. Here at Material Concept’s, we offer a sofa cushion re-filling and sofa cushion replacement services with our large range of different foam densities (soft-firm). Add the right pinch of elegance and personal touch with our variety of roller, venetian and roman blinds. These will certainly bring an array of smartness and colourful environment around and in your home. Chose a colour combination or go uniform to make it a thriving place. Many people believe that upholstery is solely about using different materials to cover furniture, but it is much more than that – it actually refers to everything besides the frame; the stuffing, springs, covering material and cushions. Our skilled craftsmen have experience of all items of upholstery. With our skilled team of craftsmen’s and women’s we can make pretty much anything. Maybe you want a hotel style headboard or padded wall panels? Bespoke headboards, bespoke ottomans and made to measure valances are all things we do. View our gallery. Whether you are looking for a special gift, an interior design solution or are hoping to realise a dream piece of design for yourself, we can bring your idea to life with a bespoke commission. Are you ready to create a truly authentic living space to call your own? Here’s some of our work. Add a dash of emotions, love, and warmth in your living room or bedroom with a pair of bright and trendy made to measure curtains. For bedrooms, we would perhaps suggest a pair of blackout curtains, as they would improve sleep and regulate temperature. Add handmade cushions to furniture and change the look, feel and style of your living space. Our specialist’s upholsterers are able to work with anything from economy to luxury foam, hollow-fibre or duck feathers. All our handmade cushions are hand sewn in the UK. The true independent retailer, home decor and highly experienced soft furnishings company, that traces it’s origins to 1994 Material Concepts Ltd offers a comprehensive range of products including Fabrics, Cushions, Blinds, Curtains, Upholstery, Headboards and Bespoke Soft Furnishings. We offer high-quality workmanship with stunning attention to detail all at very competitive prices and quick turnaround times. Our company is also proud to offer our very own range of contemporary and traditional chairs, headboards, blinds, and curtains. order free swatches to decide what looks best in your home. Important! We can send the fabric samples for our customers only. We provide the very best made to measure curtains, blinds and accessories to create beautiful interiors at affordable prices. We take great pride in the incredible quality and finish of our handmade curtains, and blinds. The company stocks leading brands including Colefax and Fowler, Romo, Jab Anstoetz, Moons, Andrew Martin, and many more. Material Concepts offers a full range of products to both the general public and interior design companies. Our experienced team reupholsters furniture to bring new life to an old piece, both traditional and modern. Material Concepts Ltd has a long and fine tradition of reupholstering service, in fact over 20 years!